Fact: it doesn’t have to be Halloween for a good horror movie to be released. 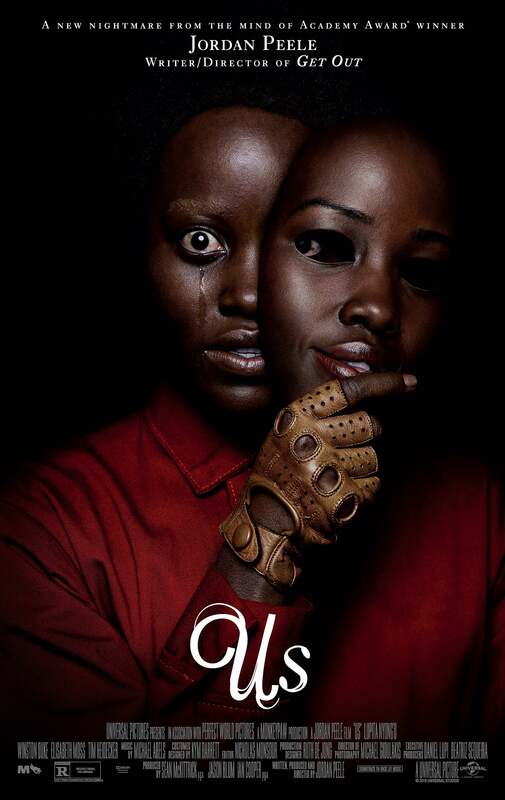 “Us,” written, directed and produced by Jordan Peele and starring Lupita Nyong’o, Duke Winston and Elizabeth Moss, was released this March. Currently, the film holds a 95% on Rotten Tomatoes and has been sweeping the box office, making over $113 million worldwide. Horror movie lovers are flocking to the theaters to see it but so are fans of Peele. In 2017, Peele released his directorial debut, “Get Out,” which he also wrote, directed and produced. The film was a huge success—not only was it thrilling and entertaining, but it also presented societal and cultural themes in crazy unique ways that critics and audiences are still debating over and aggressively tweeting about a year later. “Us” operates in the same manner of social commentary. Peele again uses genius film tactics and twists to show themes of marginalization, separation, identity and class struggle. This film helps each individual in the audience look at themselves deeply, be grateful for what they have and examine how they treat others. The most entertaining part of the film is how open for interpretation it is. Do one Google search, and you will see hundreds of articles and videos all analyzing every possible double meaning, satire and interpretation of the film. The fun part is thinking about what it could possibly mean, after you get over how freaked out you are by what you just watched. The general plot of “Us” is pretty simple—a family of four is tormented by a doppelganger family who invades their beach home. The family must fight their evil clones to survive, as they learn more about the doppelgangers and where they come from. Besides the powerful messages and up-for-interpretation meaning, the film has other great aspects going for it. Really, this film does horror right. It’s creepy, disturbing and suspenseful. The acting is strong for all involved (especially Nyong’o, but the child actors were also very amazing). The music is perfectly chilling and builds the suspense, and there’s little bits of humor dropped in throughout. Therefore, the film begs to be rewatched. Once you know the ending, the film can only get better with each viewing with everything you can pick up on after knowing the truth. Really, I can’t find mean things to say about “Us.” I’m not a horror movie fan but still enjoyed the movie. This is a necessary watch for fans of horror and Peele. While it is rewatchable , I’m not sure I want to watch it again yet (and I can’t really explain why). I would rather read articles about it and watch videos explaining every little detail and reference. Scissors, rabbits, the color red and the song “I Got 5 On It” will haunt me in my sleep, but I’m hoping to keep thinking and talking about the film’s messages for several weeks.